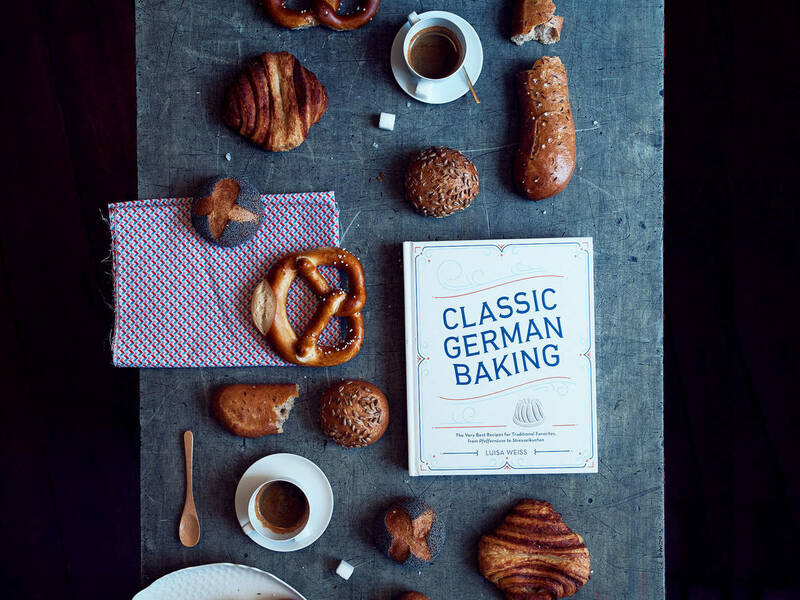 A half-American, half-Italian woman might seem an unlikely author of a cookbook entitled “Classic German Baking.” However, Luisa Weiss knows a thing or two about the traditional, time-tested recipes that make up the German-speaking world’s famous confections. After all, she was born and spent much of her childhood in Berlin, where she recalls picking up pastries at her local bakery on the way to school every morning. And she’s now back in Berlin, where she’s lived with her Saxon husband and two children for over 6 years. Her blog, the Wednesday Chef is beloved for its reliable and tasty recipes and wonderful writing—which has also been featured in various well-renowned food publications worldwide, and in her book, “My Berlin Kitchen”. Needless to say, there’s much to learn from Luisa when it comes to cooking and baking. There are certain ingredients that are paramount to the German baking kitchen, and that are best to keep on hand for when the mood to bake strikes. Among these are marzipan, apricot jam, poppy seeds, and of course—lots of butter. In her book, Luisa outlines all of these common ingredients, what their uses are, how they work, and possible substitutes. It’s a wonderful introduction to the world of German baking and to the function and purpose of the various ingredients. As you may or may not know, the German culture is particularly fond of coffee and cake time. For many families, it is a weekly ritual to bake a cake to enjoy with friends and family on a Sunday afternoon. And since cake is the center of many social interactions, it’s important to master standbys, like apple or beesting cake. Of course, we all know about the famous German pretzel, but there are myriad other savory baked goods that deserve as much attention. These treats often come from wine-producing regions and are wonderful paired with wine as an appetizer. Savory gugelhupf or strudel are great variations to try when your sweet tooth subsides. Throughout Luisa’s book, she tells stories about who inspired her recipes, where they originate geographically, and why. These tales show the power of baking to bring people and communities together, and how recipes often reflect cultural climates and history. Many German recipes, especially Christmas confections, take a lot of time and effort to make. But this shouldn’t deter you. Baking in itself can be a ritual, a time set aside to decompress and relax, and a creative outlet. And often the most outstanding things that come out of the kitchen take a little extra time and love. Enjoy the process—we promise it will pay off.